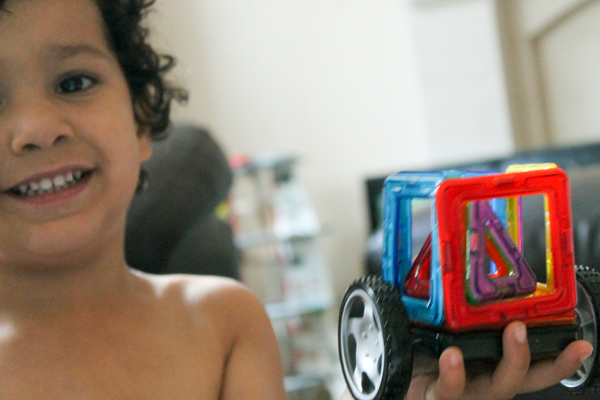 Most types of construction toys are a huge hit with my boys, and right now they love building with Magformers. 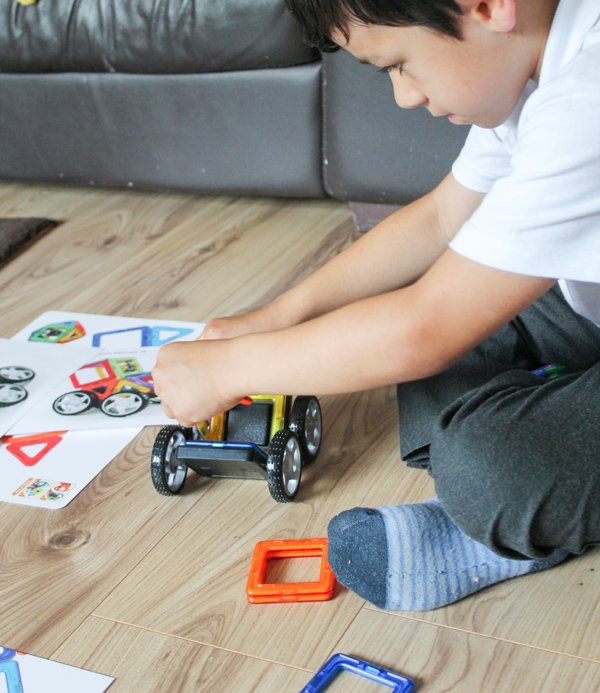 These simple magnet tiles go together to make 2d or 3d creations and we received the Wow set for review, which has a focus on building vehicles. 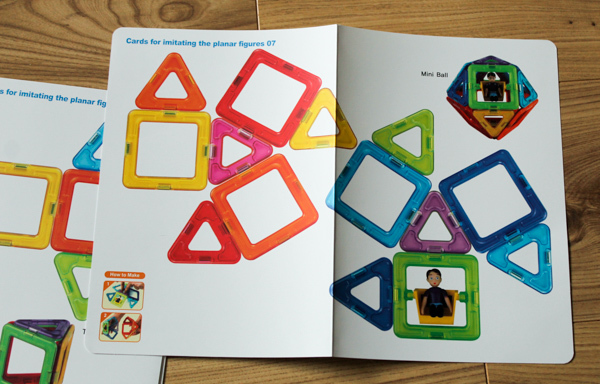 The set includes 17 pieces including wheeled bases for cars, and a piece with a character inside, along with basic triangles, squares and rectangles to build with. The set also comes with 22 double sided sheets showing construction ideas and templates, which are printed onto good quality thick paper that will be durable. My boys enjoyed following the instructions to give them a starting point, and then expanding that into their own ideas. As they build, they are problem solving and learning about how best to use magnets together to get the pieces to stay where they want. It’s a toy that I really like to see them playing with, since it helps encourage their creative thinking. 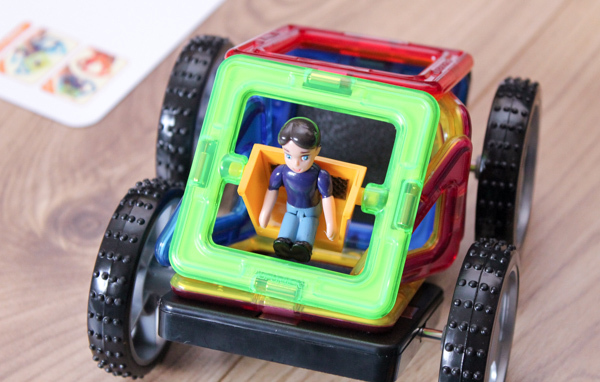 Magformers are popular with all three of my boys aged 4, 5 and 7 and they are a favourite with the boys’ 3 year old cousin too. 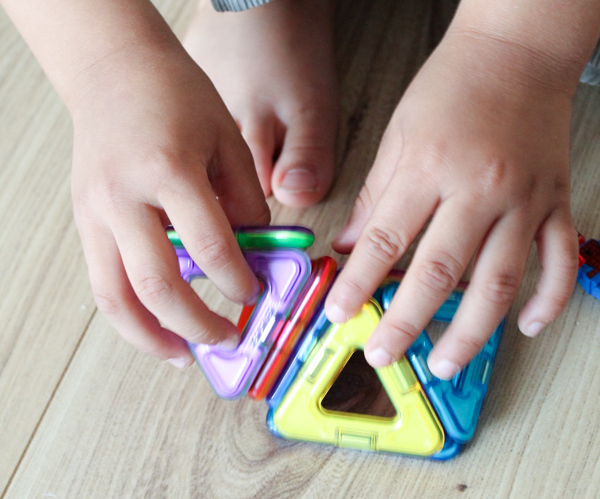 It is our go-to toy when we want something that would occupy all ages together happily. Before getting this set, we did already have some other magnet building sets, so our supply of pieces is bigger than the ones provided in the Wow set. Although it’s more expensive, I would recommend going for one of the much larger sets. 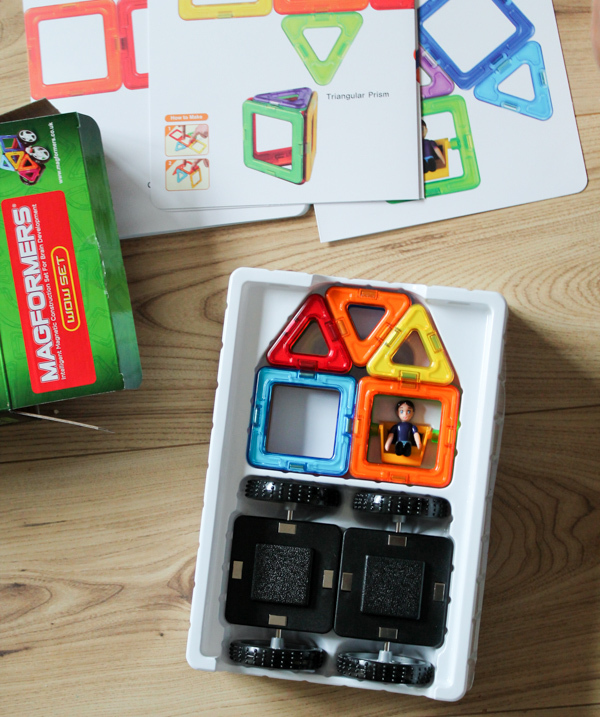 The Wow set is good for one child to play alone, and will give you a feel for building with the magnet tiles. You could try the smaller Wow set and your child enjoys it, then go for the larger ones or just jump straight up to those. For me, the sets with more pieces do offer more potential especially with multiple children in the house, and it’s a toy which will last for years and be used over and over. I like the look of these. My two boys are builders and like following instructions. But equally there looks to be sufficient scope to make and build whatever you want. They’d love the fact there were wheels – but I can also see you can make non-vehicle things too.